This deluxe zip-on awning can be added to older Springbar tents with zippered awning attachments on the front side of the tent. 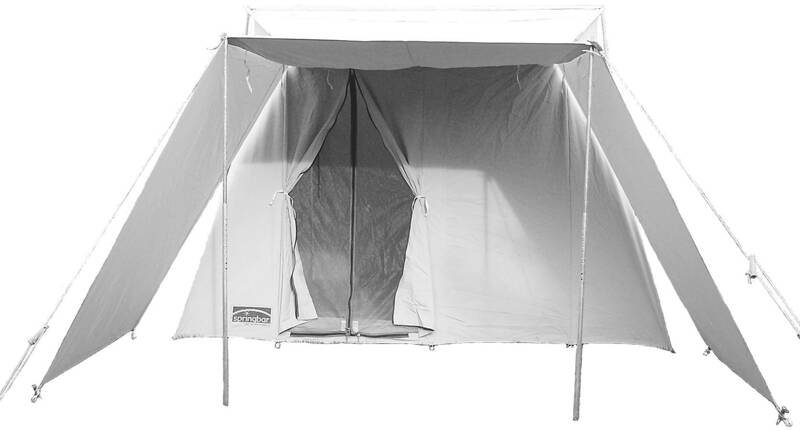 New domestic tents will need the Springbar Portico Panels, and import tents will need the Springbar Deluxe Portico Kit. Canvas MUST BE dried completely before storage. Please See Care Instructions. The portico awning works best when used with a Portico Kit. 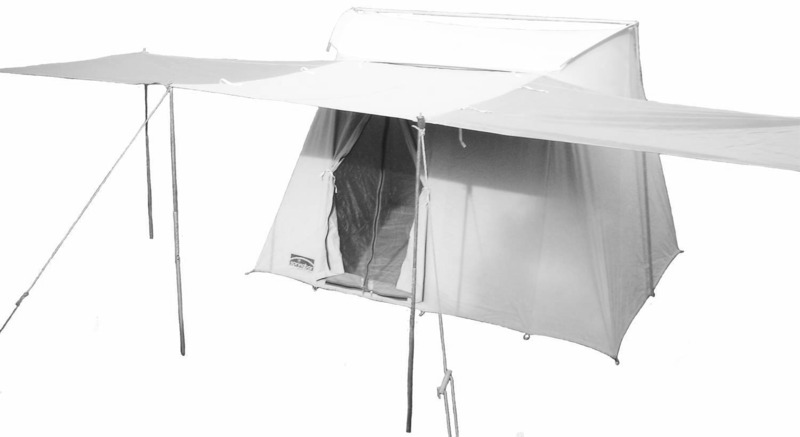 The Portico Kit includes 4 poles for the sides of the awning (see picture #3 below). 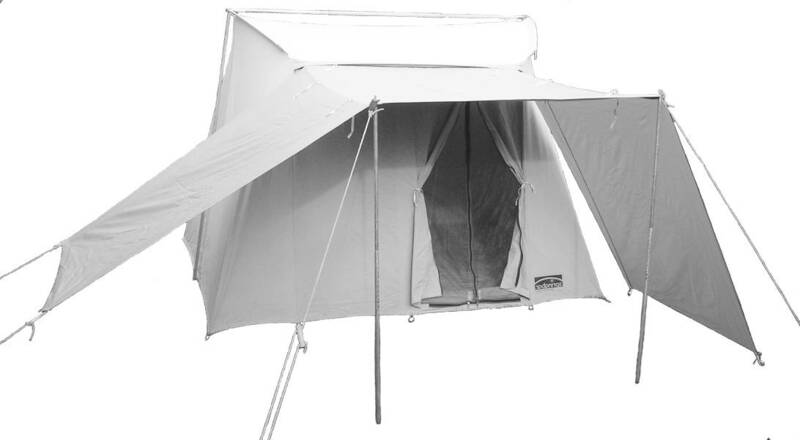 This isn't your grandfathers old canvas tent. We have perfected the balance of high quality canvas and advanced synthetic silicone treatments. The portico is awesome!! We bought it with the Collosus and always use it. It does such a great job of creating a protected area right in front of the tent. It also allows for windows to be open even in severe weather (I love being able to watch from the comfort of the tent the beauty of a good storm). You will not regret getting this option.